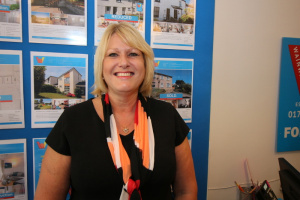 Christine who has many years experience in the property industry, working across both sides of our business, covering property inspections, viewings for sales and lettings and is very customer focused and offers all our clients a lovely smile and fabulous customer service. With a 30 year background in both corporate and independent estate agency, Claire manages all our residential sales matters, with a background within independent estate agency, Claire brings a wealth of experience, to calm our sellers and buyers, through a process, which at times can be stressful. So if you require a valuation of your property for sales purposes, we pride ourselves on making this accurate, to ensure a speedy sale. As MD of Wainwright Estate Agents, I have been in and associated with the property market since 1980, with over 35 years experience in all matters property. I have a positive attitude and believe in a "Making It Happen" approach, I am hands on within the business on a daily basis, I look forward to assisting you in all your property requirements, lettings and sales. Mike has been in the property sector for over 15 years and is responsible for our lettings division, offering our landlords and tenants unrivaled customer service, great experience in the local area, this is all delivered with a professional approach, a friendly smile and a willingness to go that extra mile. Stephen is our administration support, with 20 years experience in the property market. Stephens' role is to look after all matters to do with our landlords and tenants, ensuring we offer our landlords a first class management service, whilst ensuring our tenants have a point of contact for any issues.